SCVHistory.com LC4101 | Agua Dulce | Ivan Callahan at Homestead in Agua Dulce, 1940-41. 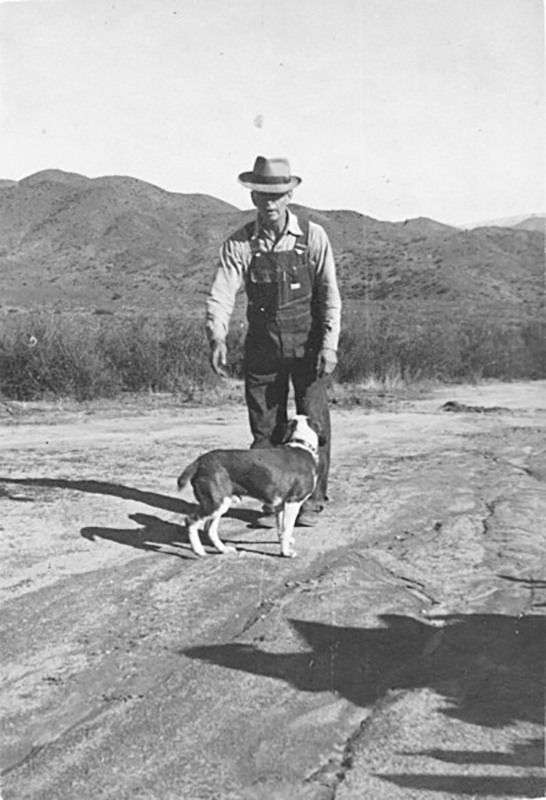 Ivan Callahan at his homestead in Agua Dulce, 1940 or 1941. Photograph courtesy of Lorraine Cesena Leach, granddaughter of Ivan Callahan. LC4101: 9600 dpi jpeg from smaller jpeg courtesy of Lorraine Cesena Leach. Online image only.